One of the reasons we made ScriptDoll was so that we could create split tests quickly to dial in our marketing messages. In this video, Monica shows you how to use your product profile to create 4 different VSL scripts that you can use for A/B testing in about 60 seconds. Now there’s no excuse for you not to get amazing results on your sales pages! Hey, guys. Monica here with ScriptDoll, and I am super excited to show you how to create 4 different VSLs that you can use for A/B testing in about 60 seconds. Come to ScriptDoll and go to the VSL scripts. Start with The Sumo. Go ahead and select your product that you’ve already created a profile for, and you’ll see that it shows up here. Don’t forget that you can do inline editing right here on the spot, so that you can just download and get started recording. Click the “Download PowerPoint” button, and the PowerPoint will appear. All you need to do is open it and hit record, you guys. It’s ready to go. Once you’re done with the SUMO, you can see it’s really nice and short, you’re going to want to test it against something a little bit longer, and the Venetian is great for that, so using this same profile, we can go ahead and generate the Venetian. It’s a little bit longer, but same thing. Hit the “Download PowerPoint.” You’re going to be ready to hit record, get this VSL going. Put those against each other in an A/B test and see which one wins. Then go ahead, come back, and come to the Video Spike VSL Template. Again, using that same profile, generate this script, click the “Download PowerPoint” button. 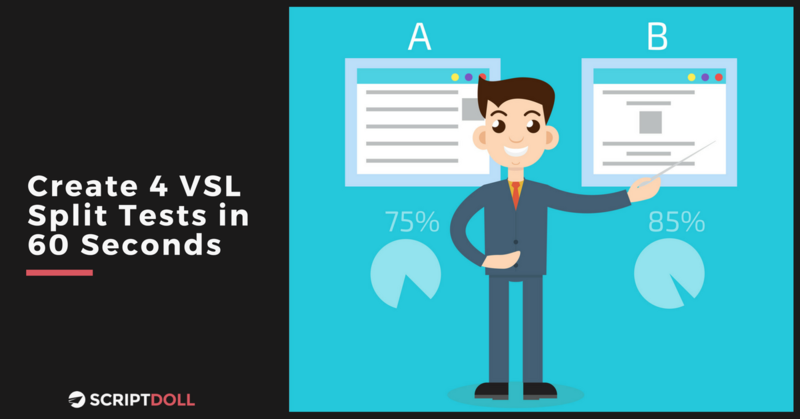 You can see that this one is longer, so your customers may respond better to a longer VSL. You don’t know until you test. Whatever the winner is of those two, test it against this fourth script, the I Get Knocked Down by The 90’s VSL. Go ahead and use your same profile. Click this button to download the PowerPoint, hit record, and that’s the fourth one. You guys, that’s 4 scripts in about 60 seconds, and you have no excuse not to A/B test and see what your customers respond to the best. Don’t have ScriptDoll so you can try these tests? Grab your $1 Trial by clicking below!